« Ellz from NYC to ATL.. 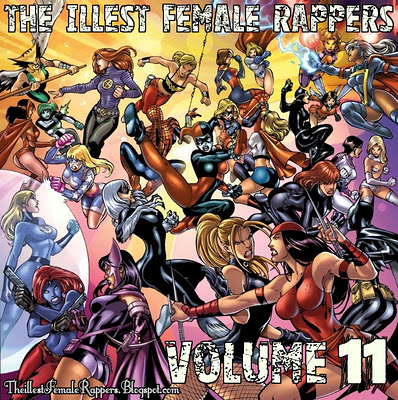 This entry was posted on November 12, 2011 at 7:35 and is filed under Female Mc's, Free Mixtape, IYADONNA, JEAN GRAE, JHA JHA, K.TANA, LIL MAMA, LIONESS, LOLA MONROE, Lyn Carter, Mala Reignz, MUTHONI THE DRUMMER QUEEN, Mz Jonz, NNEKA, PASHA, QUEEN LATIFAH, SHA MECCA, The Illest Female Rappers with tags Female RapperS, mixtape, the illest, theillestfemalerappers. You can follow any responses to this entry through the RSS 2.0 feed. You can leave a response, or trackback from your own site.